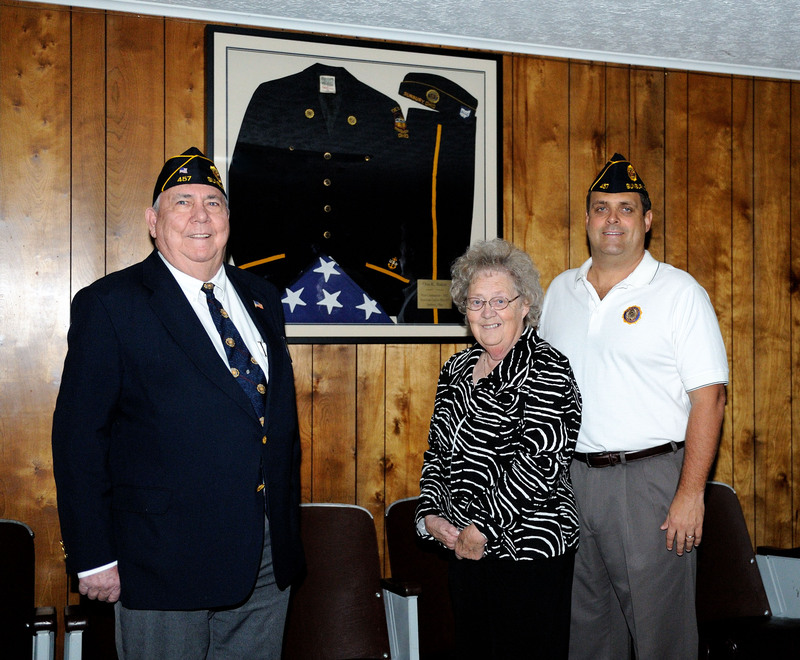 Charity (Baker) Walker, her son Mark Walker, and Mark’s wife, Kim, decided they would honor Charity's father Otis Kimball Baker by donating his American Legion dress uniform to Post 457 for permanent display. Baker was a WWI veteran and a charter member of Post 457. Left to right are Post 457 Adjutant Gene Fuller, Charity (Baker) Walker, and Mark Walker. 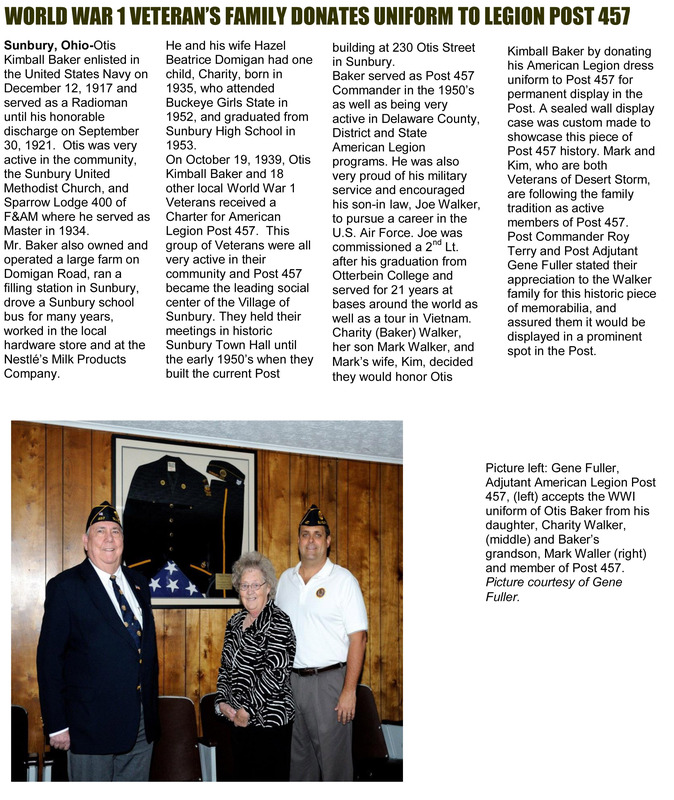 American Legion Newsletter. . . .